A secret book written by Carl Jung nearly one hundred years ago will be released next month according to the New York Times. Known as the “Red Book,” it was jealously guarded by Jung’s descendants until it was recently found in a bank vault and negotiations with the Jung family ultimately permitted its publication. The work of Carl Jung transformed the field of modern psychology by incorporating the concept of archetypes and synchronicity into the mystery of the workings of the psyche. The Jungian process involves delving into our dreams and the symbols that weave a web linking the conscious and the subconscious. In doing so, we are able to venture on a path of self-discovery and facilitate the process of what Jung called “individuation” in which lost parts of ourselves are recaptured. from Jung’s lecture “The Archetypes and the Collective Unconscious,” Collected Works. In 1913 Jung “found his psyche starting to teeter and slide, until finally he was dumped into what would become a life-altering crisis.” He began experiencing visions and hearing voices, and in what he later called a confrontation with the unconscious he used the experience to attempt to tear down the wall between his rational self and his psyche. “He found himself in a liminal place, as full of creative abundance as it was of potential ruin, believing it to be the same borderlands traveled by both lunatics and great artists.” Quotations from the New York Times article. Carl Jung’s birthchart reveals his extraordinary cpmmectopm to the archetypes of the unconscious. His Sun was in the sign of Leo, reflecting the ultimate need for self-expression and self-understanding. His Sun was angular, sitting right on the cusp of the seventh house of partnership (or Descendant), suggesting that he defined himself through the Other. His Leo Sun was therefore exactly opposed to his Aquarius ascendant which requires the transcendence of the Self into an experience of the Collective. With Aquarius on the ascendant, Jung’s chart was ruled by both Saturn (the traditional ruler) and Uranus (the modern ruler). This is a complex combination because those two planets are so different, and it gives the Aquarian nature a double-edged sword. On the one hand there is a need for order and discipline with Aquarius under Saturn, but the Uranian influence gives Aquarius its love for the unconventional and the embrace of the collective. With the Leo Sun exactly opposite the Aquarius ascendant Jung would have been torn between the individuation, as he put it, of his Selfhood (Leo), and the sublimation of individual consciousness into the mythology and symbology of the collective (Aquarius). Angular planets are more significant in the birthchart, and Jung’s Sun was angular because it sat right on the angle called the descendant at the seventh house. His sun formed an exact square to Neptune, the planet of dreams and the subconscious, fantasy and illusion. Neptune was also angular, sitting right at the cusp of the fourth house of home and inner life, the point that we call the Nadir or the Imum Coeli. Neptune at this point brings an intimate connection with the our ancestral past that transcends the boundaries of ordinary reality. Any planet found at the Nadir of the chart affects our inner world and our very sense of being incarnated in a body, and Neptune at this point suggests a tenuous anchor between body and spirit. Neptune, like the Sun, formed a square to Jung’s ascendant, which exacerbated the thinness of the veil between Jung’s conscious Self and the subconscious and transcendent (Neptune). The square from Neptune to the Sun has been a topic of great debate over the past couple of years because we find this aspect in the chart of President Obama. Because Neptune has a tendency to blur boundaries and confuse the issue, when it forms a challenging aspect like the square to the Sun, which represents the development of the Self and the Ego, there is a challenge to the formation of that sense of individuality. We already see that with the Sun sitting on the descendant, the point of the Other, Jung has a tendency to lose himself. The square from Neptune exacerbates this. At the time Jung descended into his journey of darkness, transiting Uranus was crossing the ascendant of his chart and setting off this whole dynamic that challenged his Selfhood. According to the article in the New York Times last Sunday, the unraveling of Jung’s psyche began in 1913, a period of time that coincides with the transit of Uranus over Jung’s ascendant, the point of personal identity. Uranus is strong in Jung’s chart, since it forms a tight square to his Taurus Moon. The Moon in the birthchart represents our emotional security, and in the fixed signs the emotional nature can be quite rigid and resist change to the breaking point. The challenging square from Uranus, planet of sudden change and shock, to the Moon suggests an early shock to Jung’s sense of emotional security and an unpredictable relationship with his mother. 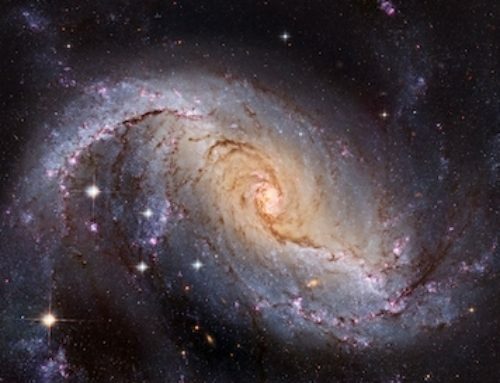 In fact, Jung’s mother spent a great deal of time alone, disconnected (Uranus) from the family and in contact with a variety of spirits and apparitions. He later said that his concept with women was one of “innate reliability,” something that is echoed here in the square of Uranus to the Moon. He also likely felt abandoned by his mother with Pluto in conjunction to his Moon in the natal chart. Jung’s study of psychology brought him into contact with Sigmund Freud, and the two had a close association for several years that ended in 1912 as Uranus made the first pass over his ascendant and opposing his Sun. The Sun in the chart can represent one’s relationship to the father, and Freud was a father figure of sorts to Jung. 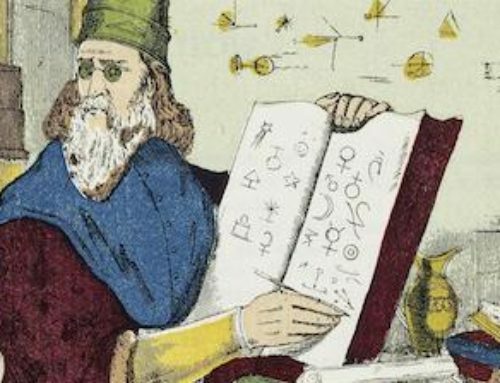 Uranus transiting in opposition to the Sun likely created a rebellious (Uranus) desire to forge his own way and express his own ideas (Sun). Jung’s perilous descent into the dark land that straddles the conscious and subconscious between 1912 and 1917 has been called a “creative illness” by his biographers. He retreated from public view, studying Gnostic writers and psychic phenomena. He write, “It would be no exaggeration to all it a state of disorientation. I felt totally suspended in mid-air.” (Memories, Carl Jung.) This is a very apt description of the experience of a Uranus transit, in which everything we know and hold on to may be turned upside down as our soul and psyche attempts to reveal the truth that lies within us. At this stage Jung, having rejected the paradigms of religion and psychoanalysis, was left without a theological leg to stand on and had to make his own way through the darkness. The transit of Uranus over Jung’s ascendant set of a rebellion within him against his own identity (ascendant/Sun) but also set off the square to Neptune in his chart. It’s no wonder that his subconscious became filled with dreams and fantastic images as the collective subconscious (Neptune at the nadir of the chart) exploded under the Uranian influence. Jung’s descent into creative madness culminated in December of 1913, He had visions of falling into a hole in the earth in a shamanic experience that he later postulated was a sacrifice for the greater good (natal Sun square Neptune is the martyr or Christ figure). At the time, transiting Jupiter was in an exact square to Jupiter in his chart which as we now know opposed Chiron exactly. An opposition of Jupiter to Chiron in the natal chart suggests that the shamanic experience that Chiron provides facilitates the development of the construct of meaning for the individual (Jupiter). There is a powerful inner connection to a deeper reality, and this can sometimes overcome the experience of material reality. When Jupiter transited over this sensitive point, at the height of the Uranus cycle, Jung was liberated (Jupiter) from the boundaries of physical reality and freed to travel into the mysteries. When we are in the middle of a transformational experience it can be so uncomfortable that we don’t recognize its value. Later on, we often look back and say “what an amazing time that was.” This is powerfully true for this experience of Jung’s. Jung’s biographers have debated this period in his life for what is now nearly a century. Some said that Jung was clairvoyant and predicted World War I. Some say that Jung experienced temporary insanity. Some say that Jung had a Christ complex and believed he was sacrificing himself for the good of humanity (again, Sun/Neptune). 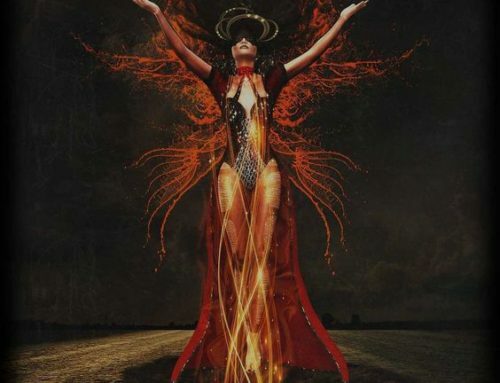 The astrological symbolism reveals something much more magical: the opening up of a soul to the shamanic experience that revealed the depths not only of the personal subconscious, but the transpersonal subconscious as well. Without this soul journey Jung would likely never have been able to connect so deeply with the archetypes and symbols that formed the foundation of his work that viewed psychology as an alchemical process. 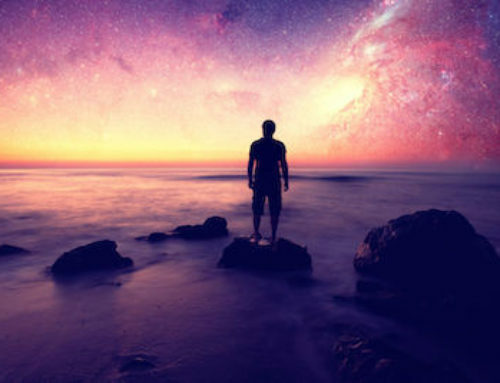 On a personal level we can also imagine that this experience, which took him on such an incredible transpersonal voyage, also provided him with a healing crisis of his own that accelerated his inner work so that he could later set aside his own personal issues to explore the transpersonality of the psyche. During this period he wrote very little of a professional nature, but instead poured his visions and thoughts into 1330 pages of notebooks. 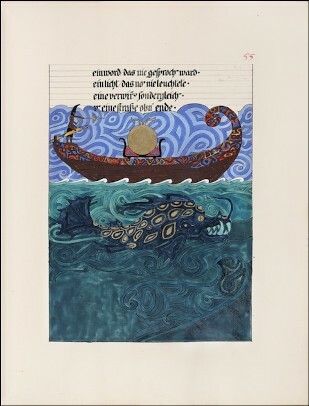 He included paintings using pigments that he himself produced and wrote in the style of the fourteenth century (Source: The Wounded Jung, Northwestern University Press). He later put together 600 pages of these writings into the Red Book which was then jealously guarded by Jung’s heirs after his death, as you can read in the Times article. Jung brilliantly utilized his descent into madness in order to transform the field of psychology forever. This concept of the alchemy of personal transformation provides the foundation for the work that I and other transformational astrologers do in our client work. Rather than look at an illness as a disease, whether mental or physical, we look to see what planetary dynamics are at work here and how they can be used for transformational purposes. We have Carl Jung, and his descent into the underworld of the subconscious and subsequent return, to thank for that. For more on Jung’s alchemical transformation and astrology, see my previous article here.